The gadget habit can hit the wallet hard. It could even inspire you to consider second and third-tier manufacturers. Usually I caution people about this, but lately, I’ve been noticing more items from budget tech maker Coby out in the wild. 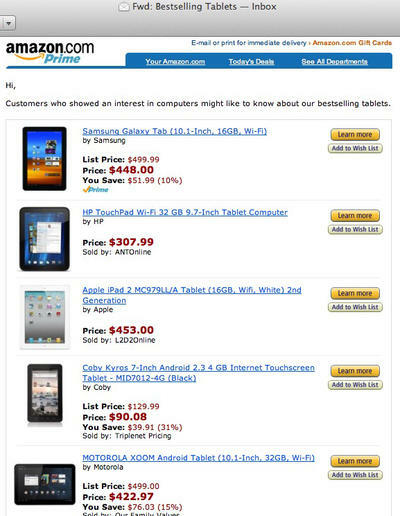 Indeed, Amazon’s latest mass blast email listing the top-selling tablets even includes a Coby tablet among the big boys, Apple, Motorola, HP and Samsung. This makes me wonder if I was too hasty in writing this brand off. Sure, it’s not up to par with the top-tier manufacturers (obviously), but could it fit the bill for users who only need “good,” not “great”? 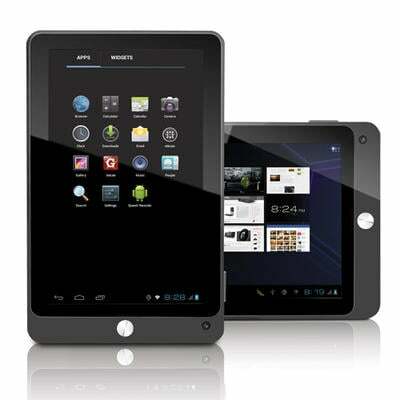 Those thoughts swirled as I read the news that Coby is releasing its latest line of Android tablets. At least all of them have ICS right out of the box. And I guess the deets might not be so bad for people who want a cheap tablet for the kids or just don’t need speedy performance or a jaw-dropping screen resolution. Thing is, even in those cases, it’s still hard to justify some of the prices. The numbers are more appealing in the larger range, but for just $20 more than the base model, people can get a Kindle Fire, which has more storage and a more reliable reputation (though no camera). If you ask me, it would take one mighty brave person to take this plunge. Are you among them? For that matter, have you ever owned a Coby product? Do you think this is a budget manufacturer worth looking into, or a craptastic brand that’s a waste of money? Share your impressions in the comments below.